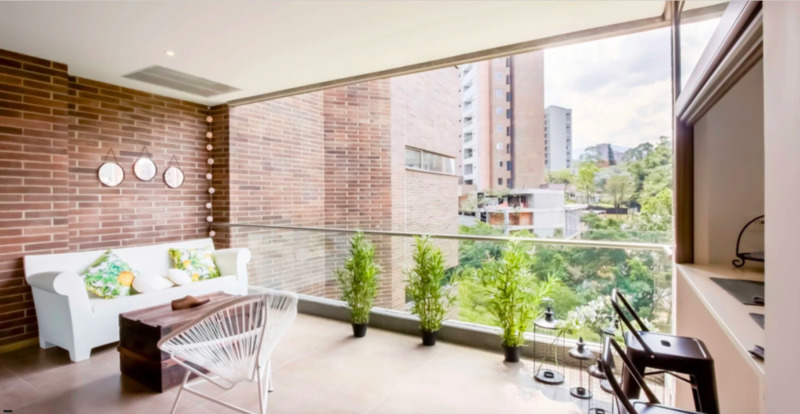 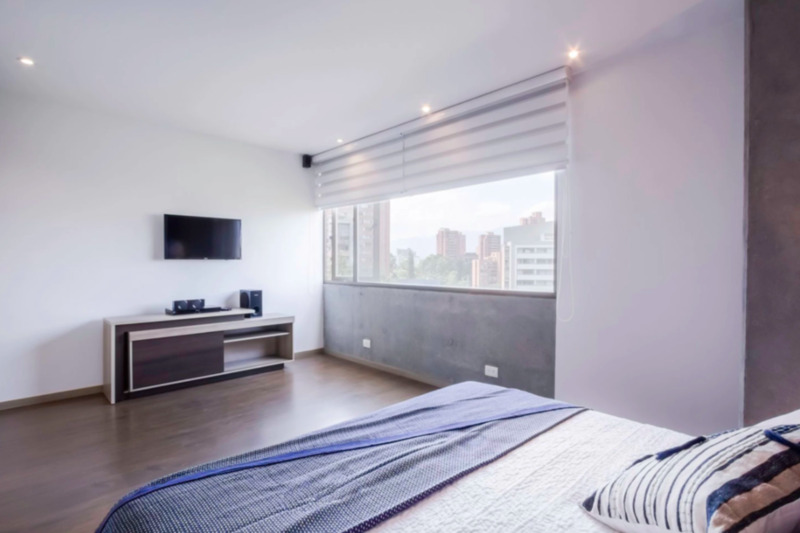 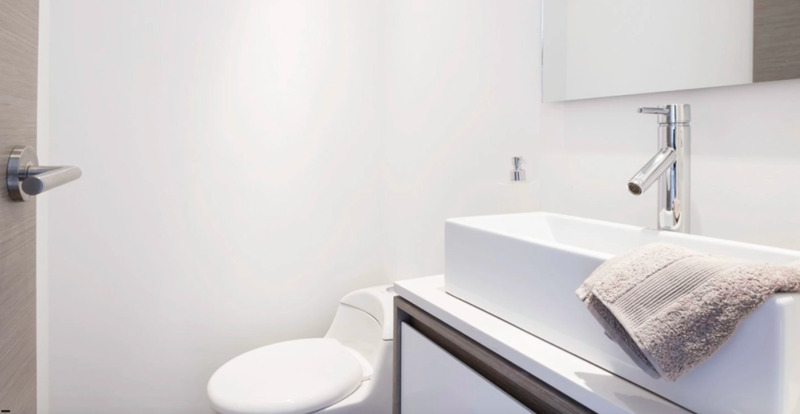 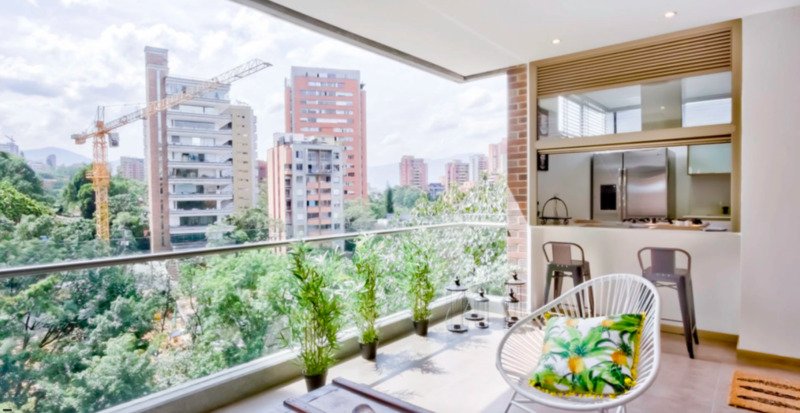 This is a chic, contemporary two-bedroom apartment located a few blocks from Provenza, considered the gastronomic center of Medellin's finest restaurants and within walking distance of Parque Lleras, which is stocked with restaurants, shopping and nightlife. 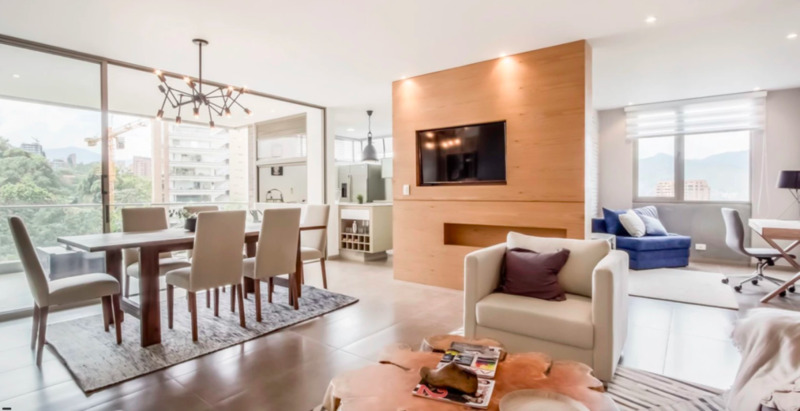 The home is utterly contemporary with gorgeous pairings of sleek and eclectic furniture throughout. 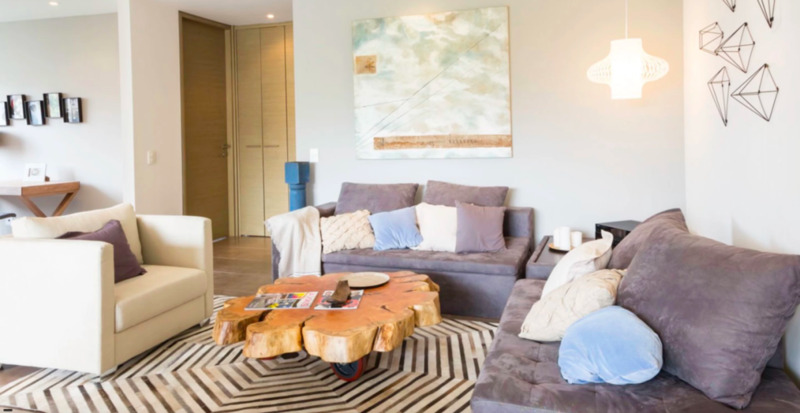 A comfortable, tonal sectional couch sits predominantly in the living room with a unique wood tree trunk center table design. 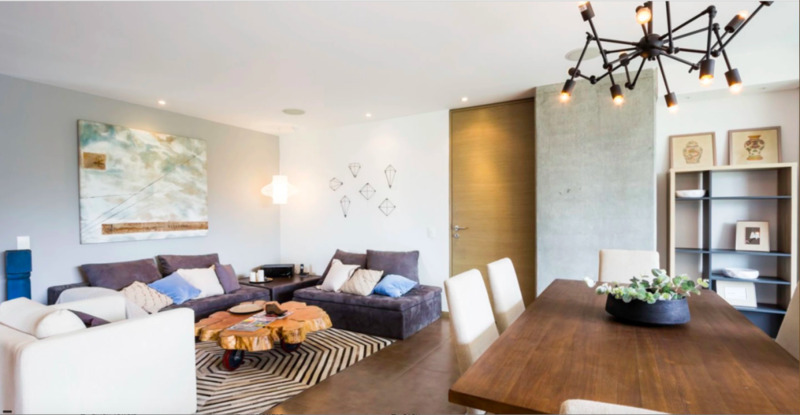 Off the living room is the dining table for 6 with entrance to the balcony. 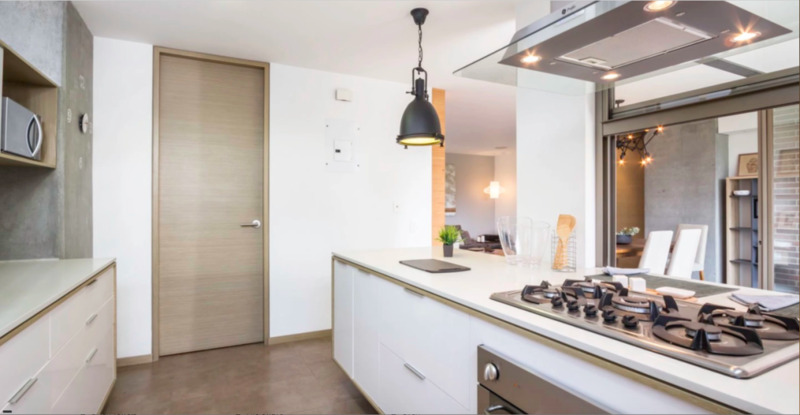 This leads to the compact kitchen filled with all the necessities you will need for your stay. 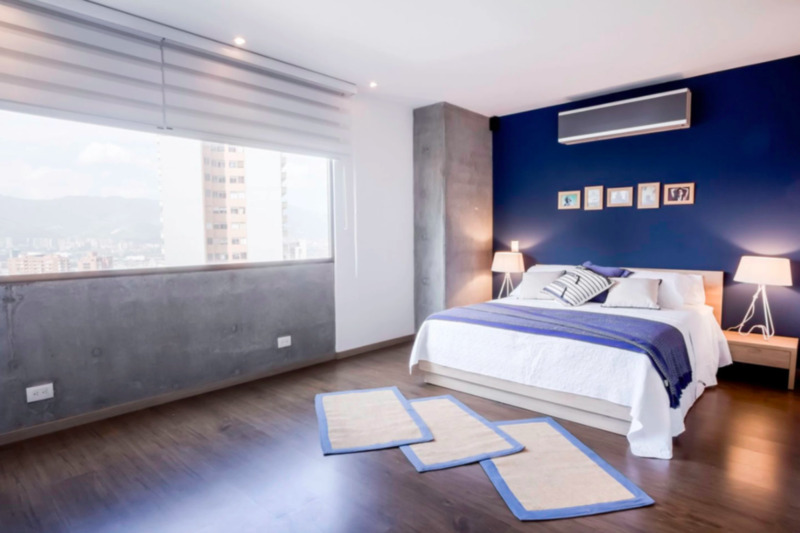 The main bedroom has a queen-sized bed with ensuite bathroom, walk-in closet, TV and AC. 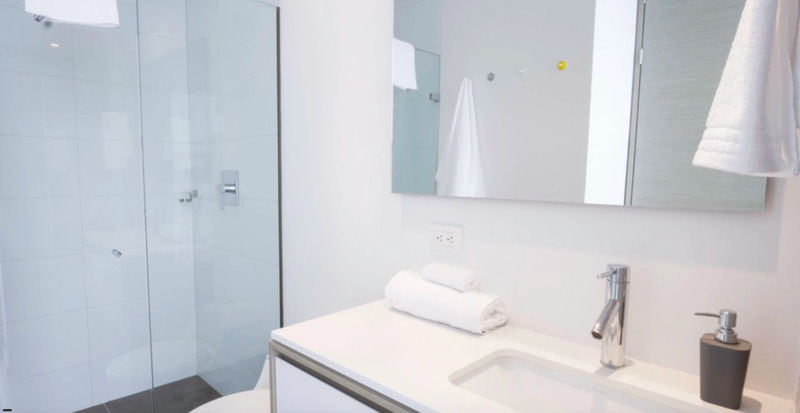 While the other has a queen-sized bed with ensuite bathroom and TV. 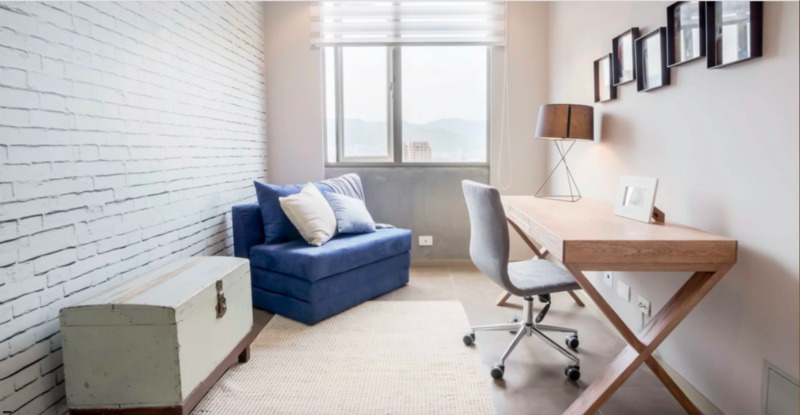 Both are spacious and extremely comfortable.